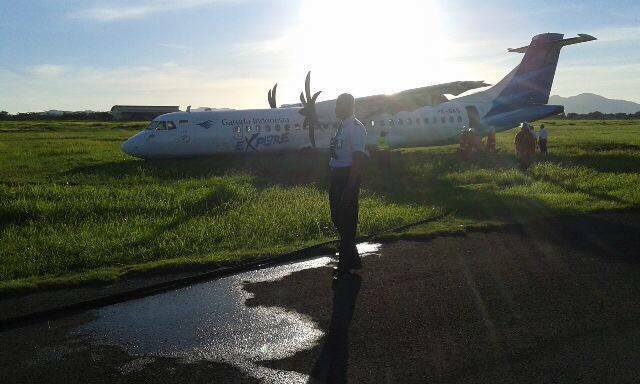 On 03 February, Garuda Indonesia ATR72-600 PK-GAG operating flight 7040 from Denpasar (DPS/WADD) to Lombok (LOP/WADL) suffered a runway excursion upon landing. The aircraft landed at 1703L (0903Z) on runway 13 and then swung to the right exiting the runway where it came to rest some 15-20 meters from the paved surface. The aircraft was reportedly flown with a flight crew consisting of an instructor and 2 trainee first officers. One of whom is reported as a former Merpati MA-60 pilot. 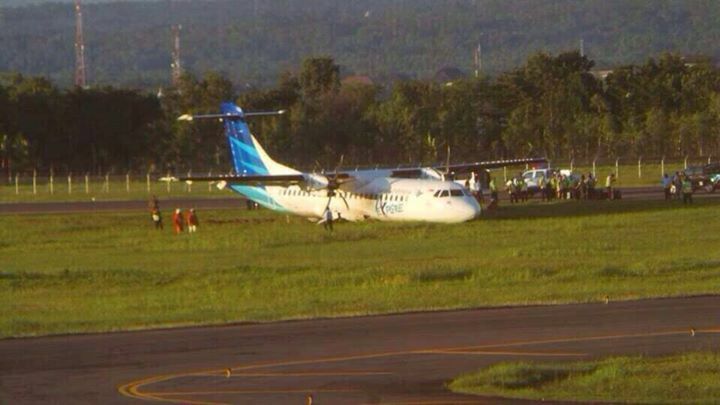 As a result of the incident, Lombok Airport was closed pending the aircraft to be moved from the runway strip. Lack of heavy removal equipment hampered recovery efforts and Lombok Airport was closed for some 45 hours before the runway strip was clear at 1410L (0610Z) on 5 February. Heavy equipment to move the aircraft had to be brought in from Bali. Flights are set to resume from 1630L (0830Z).